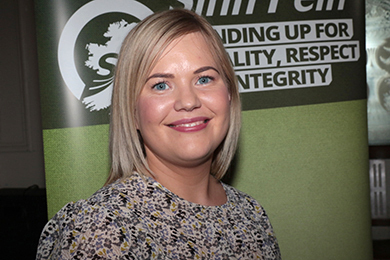 Emma Rogan (31) from Loughinisland has been selected by the Sinn Féin South Down Cumman to take over the reins from Chris Hazard who is to concentrate on his new political achievement, his victory in the Westminster election. Welcoming Emma Rogan into the political arena, Chris Hazzard speaking at a meeting of members in Denvir’s Hotel in Downpatrick, said he was delighted that Emma was aboard the Sinn Féin team in South Down. 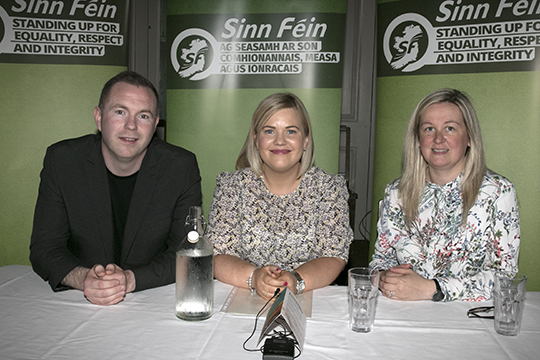 Sinn Féin South Down MP Chris Hazzard and Sinead Ennis MLA welcome Emma Rogan, centre, from Loughinilsand into the political team as the new MLA replacing Chris Hazzard after his success in the Westminster election. Mr Hazzard added: “I would like to thank all our hard working members all all who helped out from far and wide in the election who made this success possible. It was years in the making. It was five years since we held a similar meeting in the Down Arts Centre to focus on our direction in South Down. Emma Rogan spoke to the members amidst a resounding applause of approval. She said: “I would like to thank everyone and the Sinn Féin Cumman in South Down for supporting our local team. And I would like to thank my family too for all their support. “This is certainly a new chapter I’m my life, and in the politics of South Down. Our community has now been energised and the future is looking much more assured. Emma Rogan, the newly selected South Down MLA. “I am just thrilled to be serving with Sinead Ennis as an MLA and look forward to the work ahead. I am very much in support of saving the services at the Downe Hospital and look forward to addressing this issue. “Sinn Féin is growing from strength to strength and people in our constituency can feel reassured that we will represent them when they need help. We can provide strong representation and look forward to the challenges in front of us. Emma is a solid Loughinisland GAC supporter through and through and her heart is in her local community. As a member of the Loughinisland Justice Group which is battling to clear up the secrecy and collusion that surrounds the Loughinisland massacre in 1994, Emma feels a special attachment to this group as her father, Adrian Rogan (34) was one of the six victims who died tragically in the shooting. In his closing remarks, Willie Clarke said: “We are living in historic times. Things will never be the same again. We will address the issue facing us through Brussels and through Ireland. Regarding Brexit, that is where much of the coming political battle will take place. “So we realise we are in a a situation of a number of huge challenges going forward. 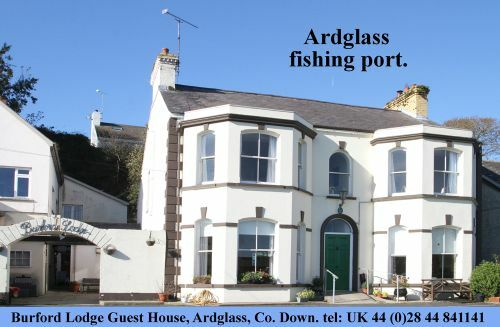 We have a talented team in South Down. Our Councillor Roisin Mulgrew is chairperson of Newry Mourne and Down District Council and I am vice-chairperson. We have two MLA’s in South Down and now an MP, Chris Hazzard.